Iodine in water, 1 in a series of 2. 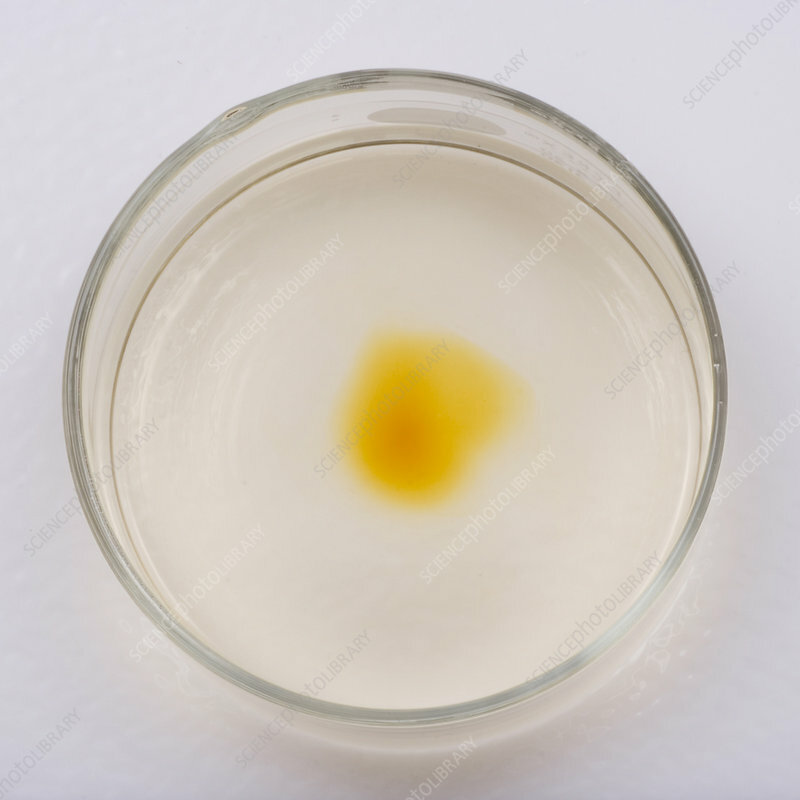 This image shows that Iodine (I2) is only sparingly soluble in water. The second image shows that with the addition of iodide ions; in this case a small amount of Potassium Iodide (KI); the iodine is converted to triiodide ion; which readily dissolves.